Every owner has some house renovation plans in his mind. But, he somehow convinces his mind that a house modification is not a great idea in the current scenario. Maybe because of constrained financial condition, or simply don’t have enough time. Yes, money is an important entity in a house remodeling project, but who says you should renovate every room of your property from the washroom to the kitchen, and even the outdoor space. Plan a renovation according to your budget and need. Now coming to time, nobody today has even time for having 3 times meal properly, time is the like the money bank which can be debited anytime when you are in need of it. Home Improvement is crucial to increase the life of the house and to shout up the value of your asset in the market. 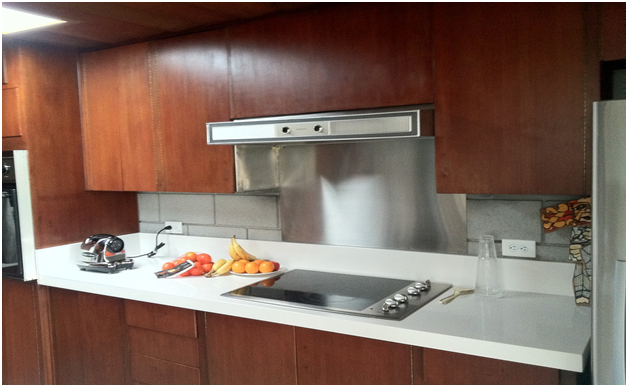 A kitchen renovation not only increases your property’s value, but also improves its curb appeal. One way to update your kitchen is to make use of backsplash tiles, which adds the elements of style and colors to your kitchen’s interior. For example, light green backsplash tiles will be perfect for sparkling white marble slab. You can also go for bold colors like the red, the orange to complement your dark in-house plaster paint. Every individual has its one choose when comes to colors. Deck addition is perfect to improve your house outside aesthetic appeal and price in the real-estate market. It can also be your desirable after office or Sunday brunch area, who doesn’t want to enjoy a cup of tea enjoying the view of traffic or park in front. Proof replacement is necessary, if your roof is leaking or has become vulnerable over the years. Today, there is a range of roofing materials available and in many unique designs. A roof replacement can invariably alter the character of your house, for better. If you are a nature lover and want to have some nature feel at home, then thin layers of slate are perfect for your roof replacement project. On the other hand, a fire resistant and energy efficient roof are always advisable. Your bathroom is more than a utilitarian room; it is that space in your house which can impress your guest or anyone, who visits your house, also great for your family members’ eyes. Put more twist to your bathroom, with massive elegantly designed mirrors, bathroom tiles, bathroom tub, and there are many things you can try after discussing with your family members. There always a small captivity in your house unoccupied, like the storeroom, attic. You can transform it to a bedroom or a computer room and something like that. This way you are maximizing your house space and value. A backyard patio is best to have some cozy gathering with your friends without the need to go out and spend on party hall. It can also act as a place where you can enjoy your morning and evening coffee.